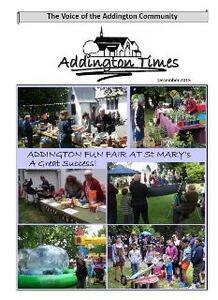 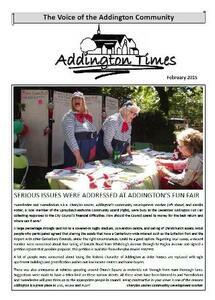 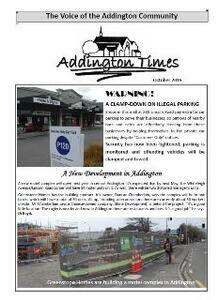 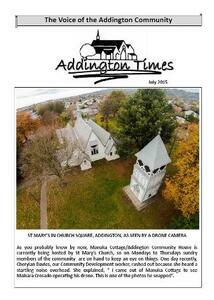 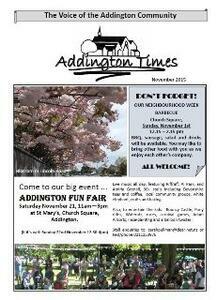 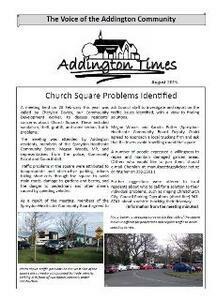 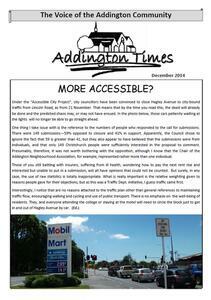 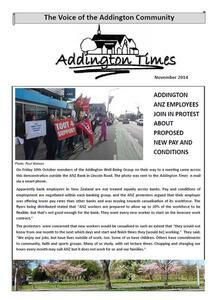 The Addington Times is a newsletter jointly produced by the Addington Neighbourhood Association, Manuka Cottage and Addington Community House. 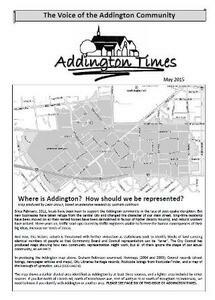 As the “Voice of the Addington community”, it contains articles about important local issues, prominent community members, and the history of Addington. 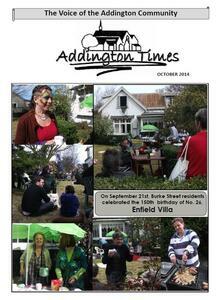 The publication also promotes community events and businesses. 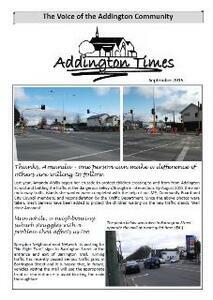 Addington has undergone rapid and drastic change since the earthquakes, with an increase in traffic and a number of former central city businesses migrating to the suburb. 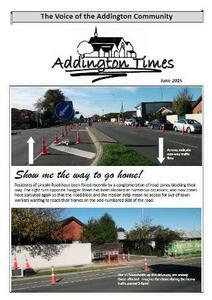 The Addington Times documents these changes and voices the community’s reaction to them.